Dhaka, 8 September, Abnews: Bangladesh can attract the huge global tourists, mainly from China, visiting countries like India and Myanmar by offering its beautiful places to them as an extended destination of their visits, say industry insiders. China is giving much importance to cross-border tourism under the Belt and Road Initiative (BRI) as proposed by Chinese President Xi Jinping. India is also promoting its Buddhist Circuit to attract tourists from China as China provides the biggest outbound visitors in the world with 144 million a year, officials said. On the other hand, Chinese people have been the second biggest tourist players in Myanmar in its popular tourist destinations like Yangon and Mandalay; religious sites in Mon State, Pindaya, Bago and Hpa-An; ancient cities such as Bagan and Mrauk-U; and as well as beaches in Nabule Ngapal. 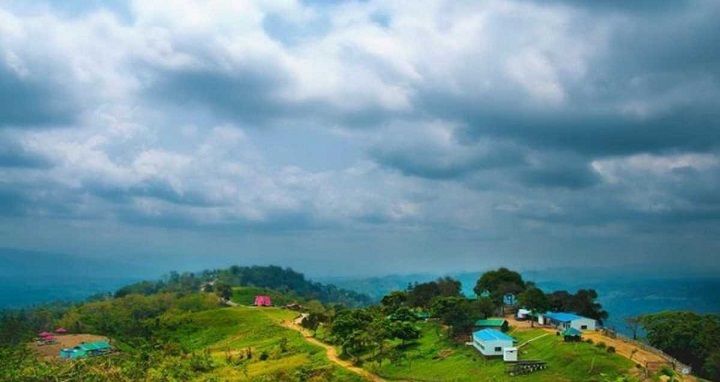 “We’ve huge potentials to attract the tourists who are visiting India and Myanmar making Bangladesh an extended destination for them,” Taufiq Rahman, director of Tour Operators Association of Bangladesh (TOAB) told UNB. He said both the government and private sector have a role in making it happens so that Bangladesh’s tourism sector grows further. Talking about government’s role, he said easing visa on arrival, immigration, customs issues and visa on arrival through sea and land ports can help encourage foreign tourists to take Bangladesh as an extended destination. Taufiq Rahman said the private sector players need to have broader engagements with tour operators in India and Myanmar that will help make Bangladesh an extended destination for tourists. He said a new opportunity has opened in the tourism sector through ocean cruise tourists to which Bangladesh needs to give a serious attention. During Chinese President’s Bangladesh visit, two countries agreed to expand exchanges and cooperation in culture, education, tourism and other fields, and promote interactions among the media, think tanks, youths, women organisations, non-governmental groups and local authorities of the two countries, officials said. Bangladesh also sees potential in tourism sector through intra-Bimstec tourism cooperation. An official at the Foreign Ministry here said the Bay of Bengal Initiative for Multi-Sectoral Technical and Economic Cooperation (Bimstec) Member States in the recently held 4th Summit in Kathmandu, Nepal agreed to take concrete steps to promote intra-Bimstec tourism. Officials said the Member States will task the relevant authorities to devise strategies considering the emerging opportunities and building on the past initiatives, including the ‘Plan of Action for Tourism Development and Promotion for the Bimstec Region’ adopted and reinforced earlier. The Member States agreed to take concrete measures to facilitate tourism by ensuring safety and security of tourists, and smooth transport connectivity. They reaffirmed their commitment to developing and promoting Buddhist Tourist Circuit, Temple Tourist Circuit, ancient cities trail, eco-tourism and medical tourism; and welcome the offer of Nepal to host a Bimstec tourism conclave in Nepal in 2020, coinciding with the Visit Nepal Year 2020, according to the joint declaration of Bimstec Summit. It is estimated that there are nearly 500 million Buddhists all over the World and majority of them live in East Asia, South East Asia and Far East countries, according to Indian Tourism Ministry. Officials at the Civil Aviation and Tourism Ministry said the government focuses sustainable development of tourism in the country and stressed the importance of regional cooperation in the development of strategic tourism resources such as Buddhist heritage.